Dr. Baynham specializes in pediatric orthopaedics. Treatments performed by Dr. Baynham vary from common fractures, strains and sprains to walking disturbances, angular/rotational deformities of legs, flat feet, and scoliosis. He also specializes in the uncommon pediatric problems such as neuromuscular diseases, complex spine deformity, hip dysplasia, club feet, limb length discrepancy, and congenital malformations. Spine Tests LLC: Dr Bret Baynham is co-founder of Spine Tests LLC. Spine Tests LLC has been formed to advance the current state of the art in musculoskeletal diagnostic tools and methods. The initial focus will be placed upon spinal deformity detection without the use of radiography. With over 20 years of experience taking care of children and young adults, I am grateful every day for the trust that families place in me. I know that it is never easy when your child isn’t well and that surgery can be a scary option to consider. Because I specialize in the treatment of spinal deformity, you can be assured that I am up-to-date on the best medical practices and approaches so that your child receives the best treatment possible. Each spine, just like each child, is unique. Therefore, no single treatment method is applicable to all types and severity of spinal deformity. I am committed to identifying and providing the method of treatment most appropriate for your child. 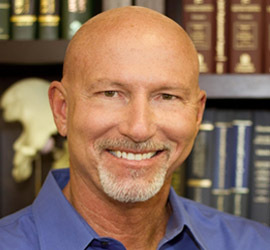 When surgery is indicated, I will provide you with a diverse range of options, from traditional spinal deformity correction and fusion, to the more innovative growth modulation (spinal tethering/stapling) and growth preservation (growing rods) techniques. You can also count on thorough, compassionate care from me and my staff throughout our time together. We are always here to answer your questions and walk you through the surgery process, so you can stay focused on your child. I am a dedicated, board-certified pediatric orthopedic surgeon who specializes in spinal deformity. I obtained my undergraduate education at the University of South Carolina and my medical degree from the University Of Florida College Of Medicine. My medical internship and residency were completed at the University of Florida, Jacksonville Campus. This was followed by a fellowship in Pediatric Orthopedic and Spinal Surgery at the Shriner’s Hospital for Crippled Children in Greenville, South Carolina. Through my current practice, I provide a diverse range of options to treat childhood scoliosis, from traditional spinal deformity correction and fusion to the more innovative growth modulation (spinal tethering/stapling) and growth preservation (growing rods) techniques. I also treat uncommon pediatric problems such as neuromuscular diseases, complex spine deformity, hip dysplasia, club feet, limb length discrepancy, and congenital malformations. 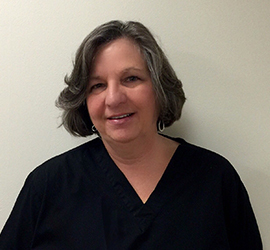 Maureen Storey, MSN, ARNP is a board-certified advanced registered nurse practitioner in family practice and a certified pediatric orthopedics specialist with decades of experience treating children in clinical offices and operating rooms. Maureen earned a Bachelor of Science Degree in Nursing from Florida Atlantic University in Boca Raton, FL, and a Master of Science in Nursing from the University of Miami. Her numerous awards and accomplishments include the 1999 National Nurse Practice Award from the National Association of Orthopaedic Nurses, a 2001 induction into the Sigma Theta Tau International Honor Society of Nursing, and service as the Director of the Executive Board of the National Association of Orthopaedic Nurses from 2009-2012. Maureen assists Dr. Baynham with all facets of his practice, from health assessments and physical examinations, to diagnosis and treatment of minor orthopedic problems, performance of minor surgical procedures, and supporting the MD during surgery.